San Sebastian’s weather is quite unstable. Ideally, if you can choose when to go, this should be in summer. This way you could widely enjoy the city and its beaches, where you could take a bath without any problem. Summer weather is warm but far from being excessively hot. Usually the temperatures are pleasant to be enjoying the beach or walking around the city. 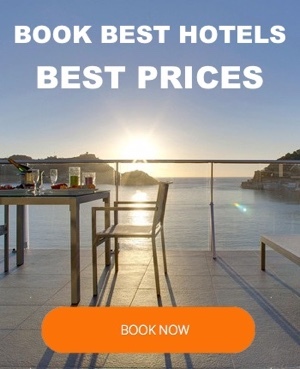 Spring is also a good season to visit San Sebastian while is true that the weather tends to be more unsettled and you can face either a sunny day or a stormy day. In autumn days start being shorter stemming in less hours of sunlight, but during the first weeks of this season the weather is still nice and welcoming. However, winter is usually harder and the rain is common. But even so, despite the rain, San Sebastian temperature rarely falls under 5°C / 41°F. Average temperatures in San Sebastian. 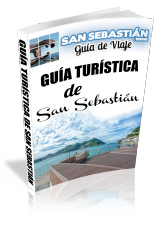 We will send to your email our free San Sebatian PDF travel guide. 1. How far is the Guggenheim Museum from the airport? 2. Can we only get the bus from Bilbao to San Sebastian from the airport? 4. In San Sebastian when we want to return to Bilbao, can we get the bus in the town or do you have to go to the airport in San Sebastian? Thank you in advance for any assistance you can provide!